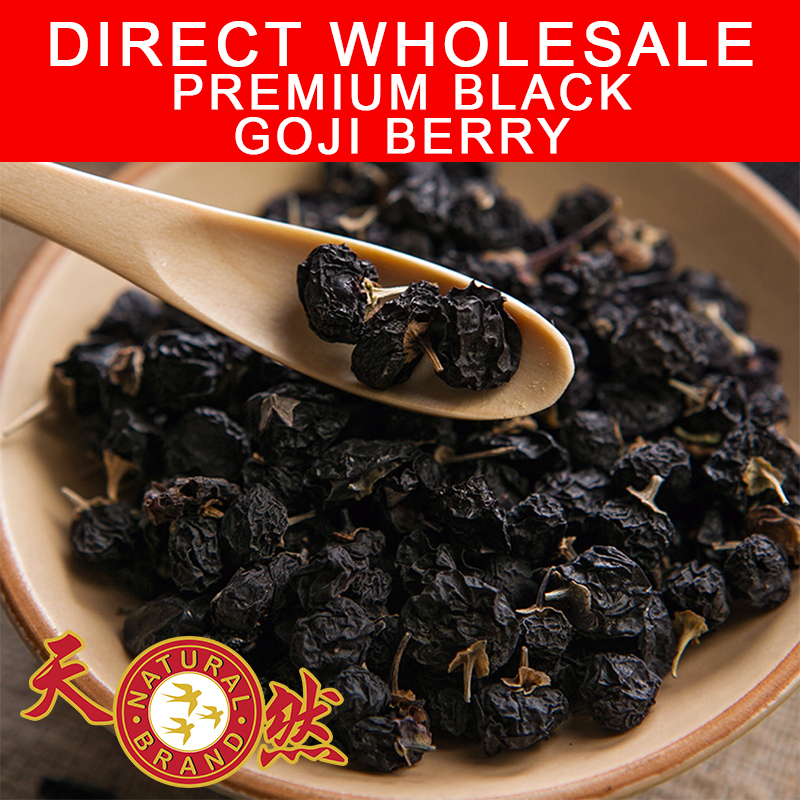 Premium Black Goji Wolfberry for wholesale in Singapore. Direct Supplier, trusted quality and best pricing guaranteed. 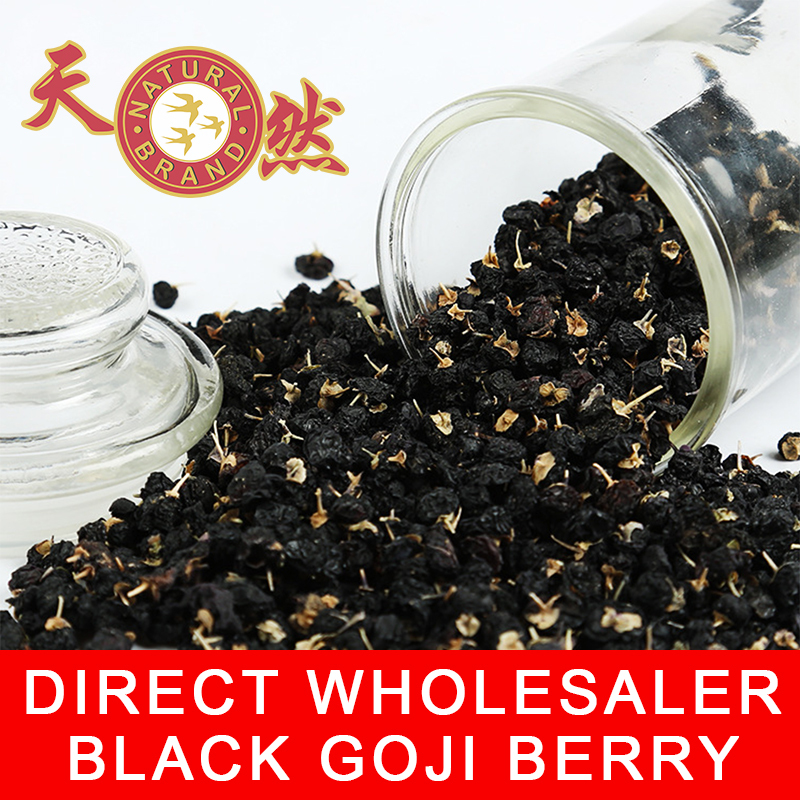 100% Pure Black Goji Woldberry. 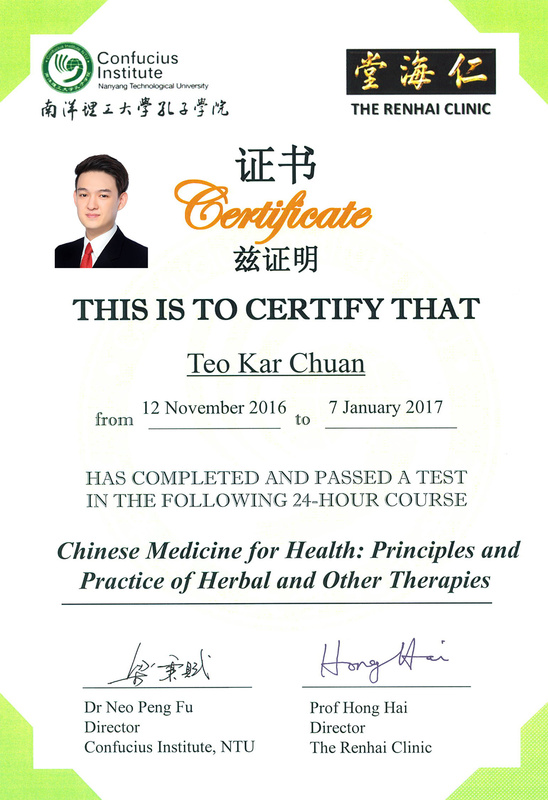 Quality Assurance by Natural Brand Trading Pte Ltd. Money back guarantee if quality is not pure. Richest in nutrients called OPC (Oligomeric Proanthocyanidins) which helps in the Elimination of Toxins. Great Antioxidants and Anti Aging Properties Prevent growth of Cancer Cells Boost Immune System to achieve Longevity. Place approx 12 black goji berry for every 150ml of lukewarm water. 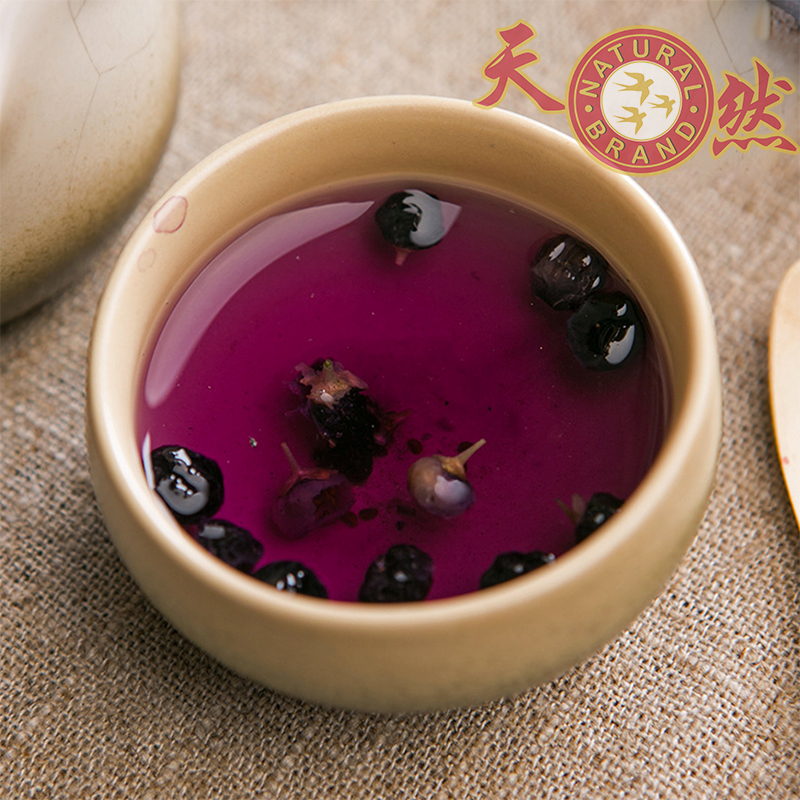 At first, the water color would be blue; after approx 4 mins of soaking in hot water it would turn purple to indicate that it is ready for drinking. 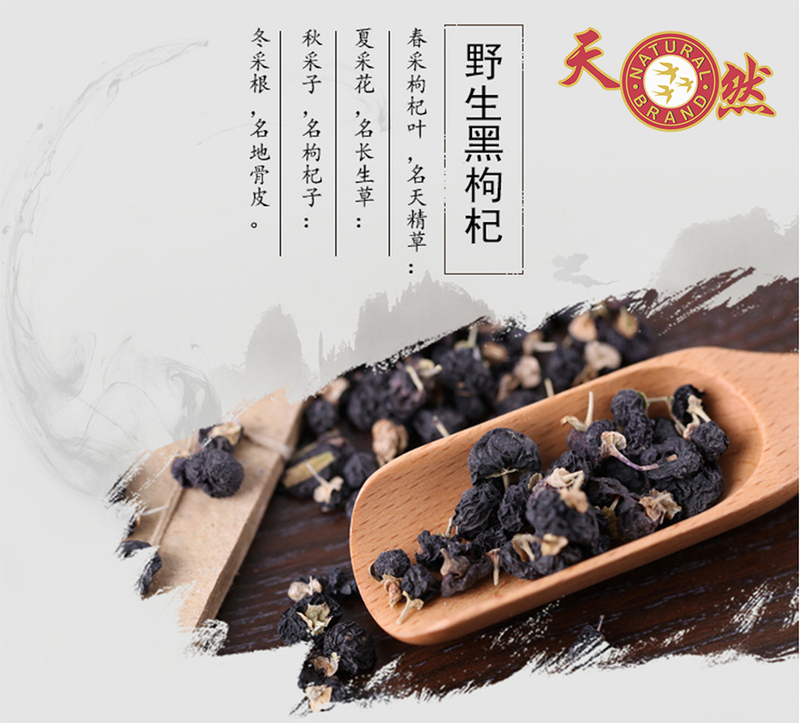 100% no artificial coloring, all color traces are natural produce of a black goji berry fruit. Note that Black Goji Berry is a health tea, to feel a change it is recommended to consume on a regular basis. To enhance flavour of your health tea, can also mix Black Goji with other flower or fruit tea for drinking. 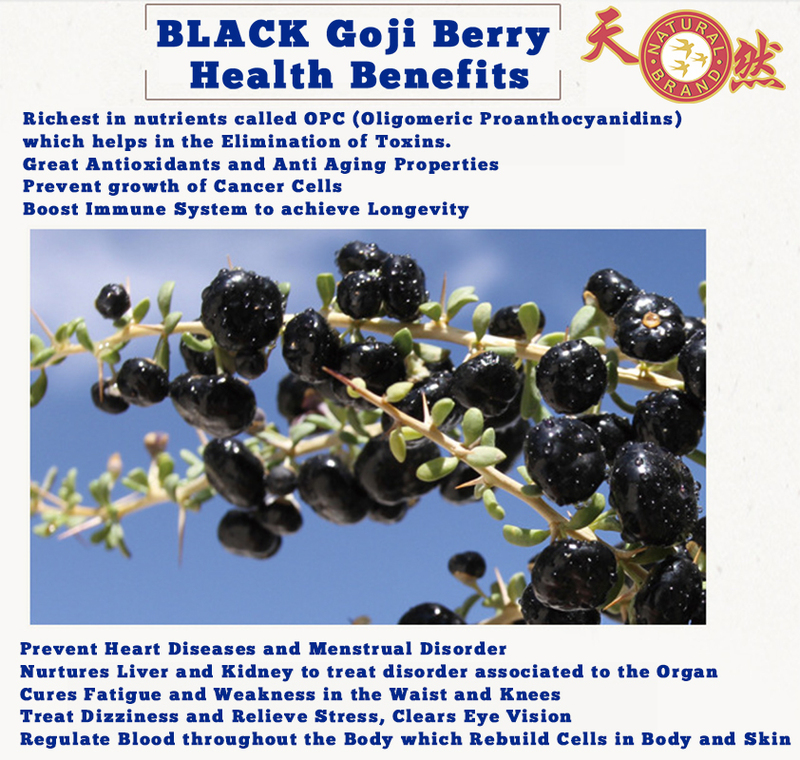 The Health benefits of Black Goji Wolfberry is amazing, just do a google of it and find out how this wonderful harvest can benefit our body as we age. SKU: n/a. Categories: Herbs, Tea. Tags: black goji, black wolf berry, Health Food, Herbs.